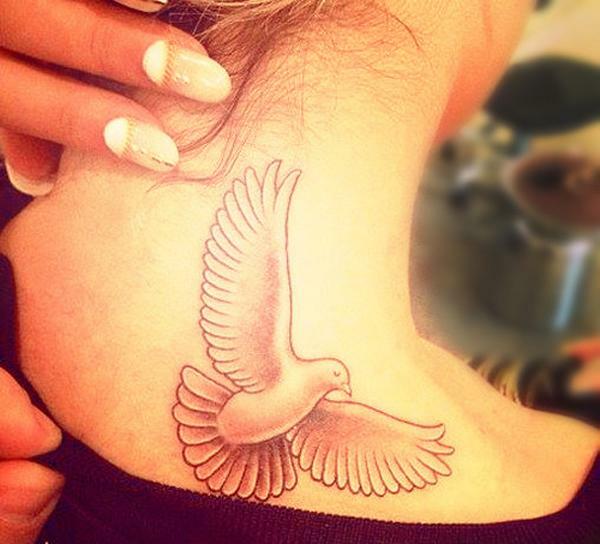 Dove is a bird, usually white in color, often associated with love and peace, harmony and tranquility. 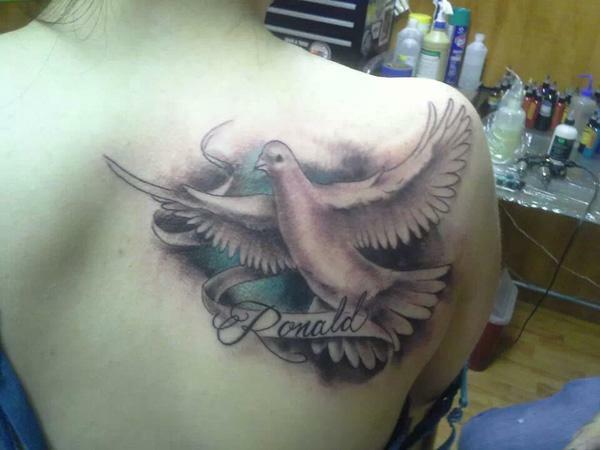 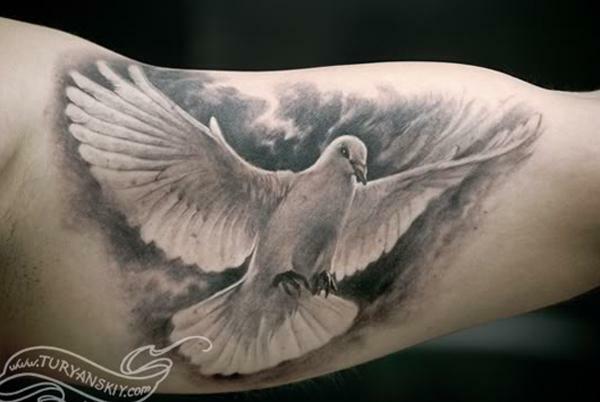 The dove is also the Christian symbol for the Holy Spirit. 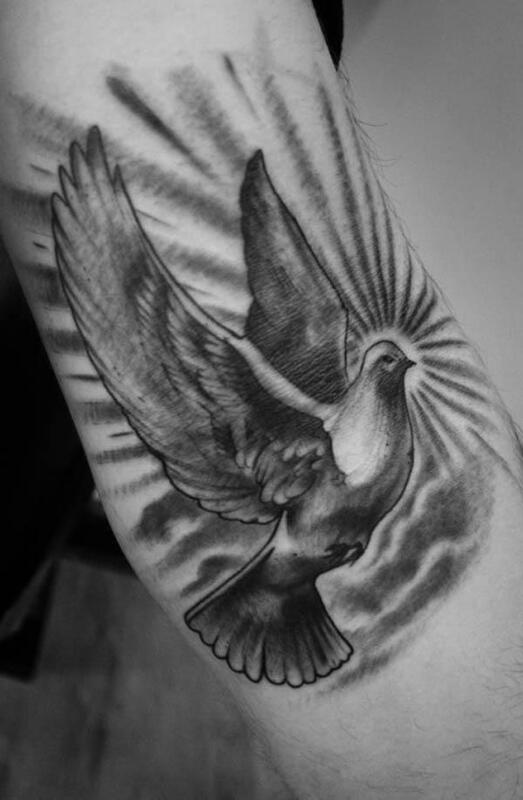 When Jesus was baptized by John, according to bible, the Holy Spirit manifested flying above him like a dove. 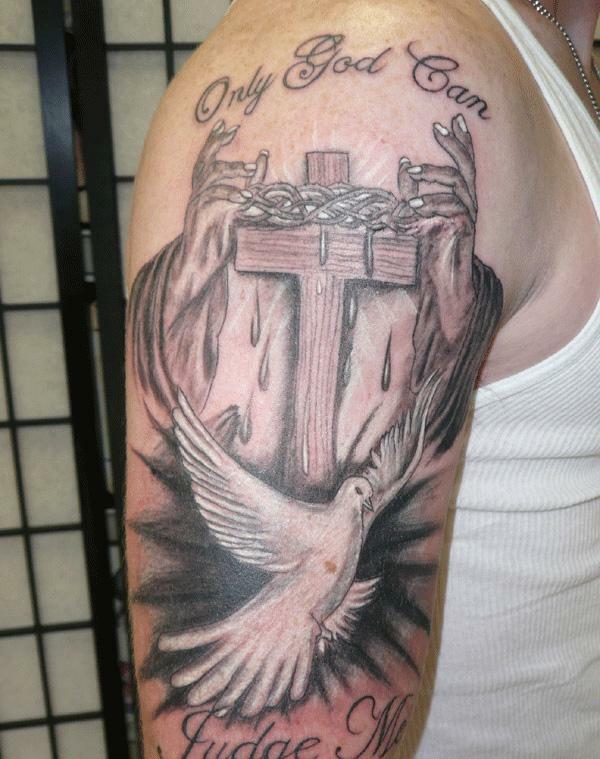 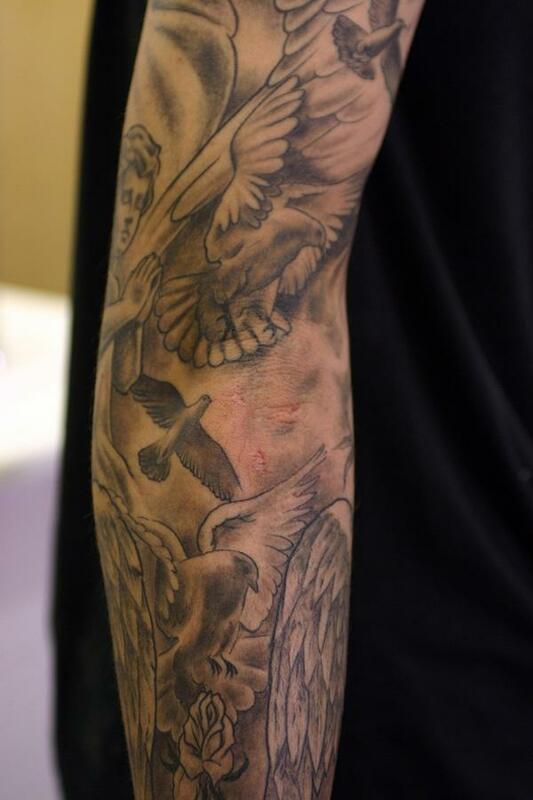 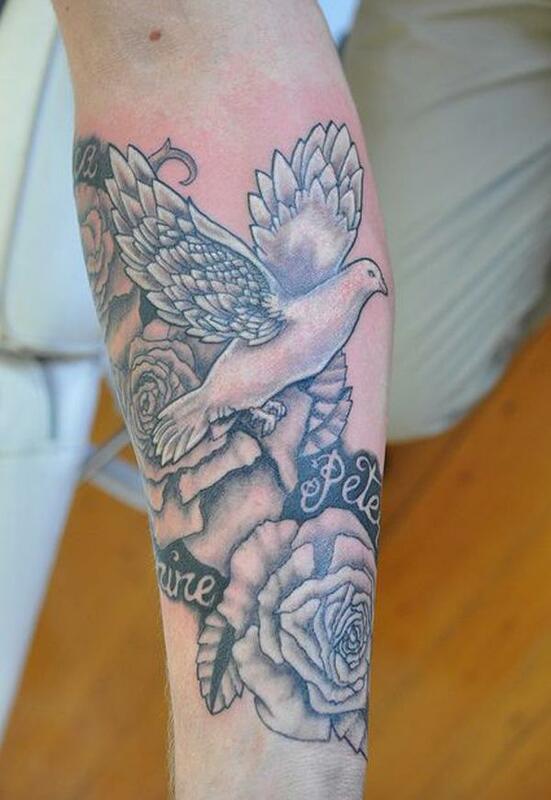 So dove tattoo is taken as one of religious tattoos. 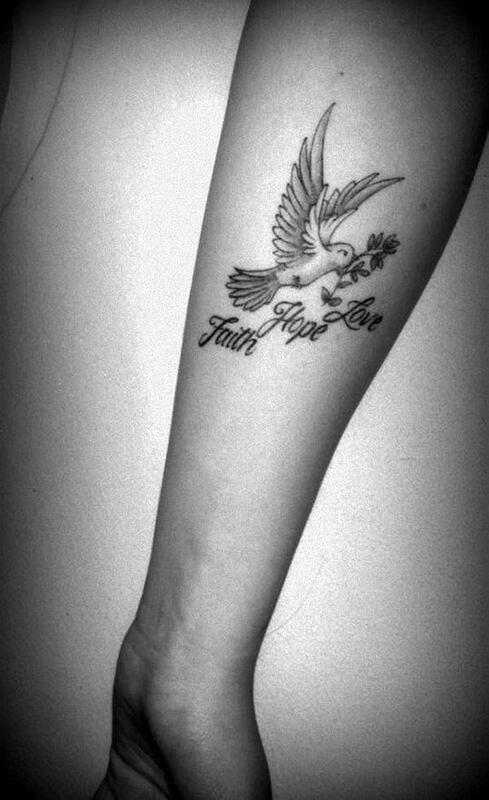 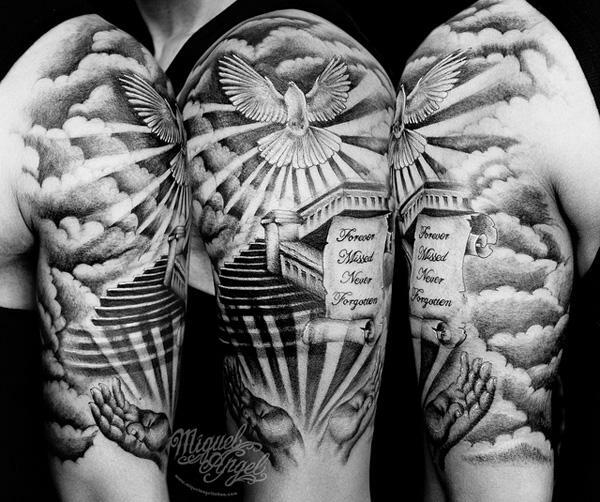 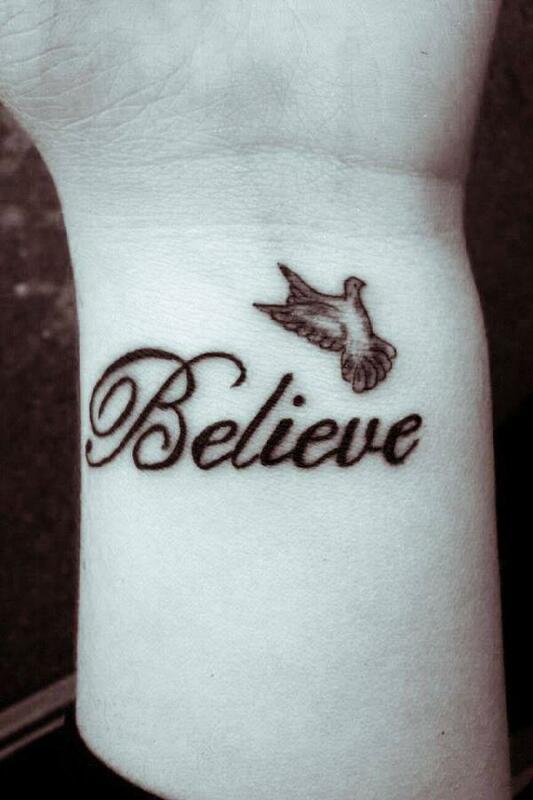 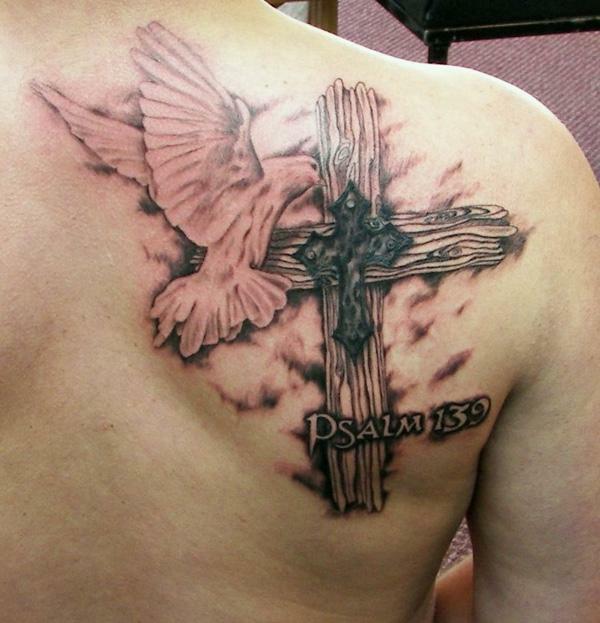 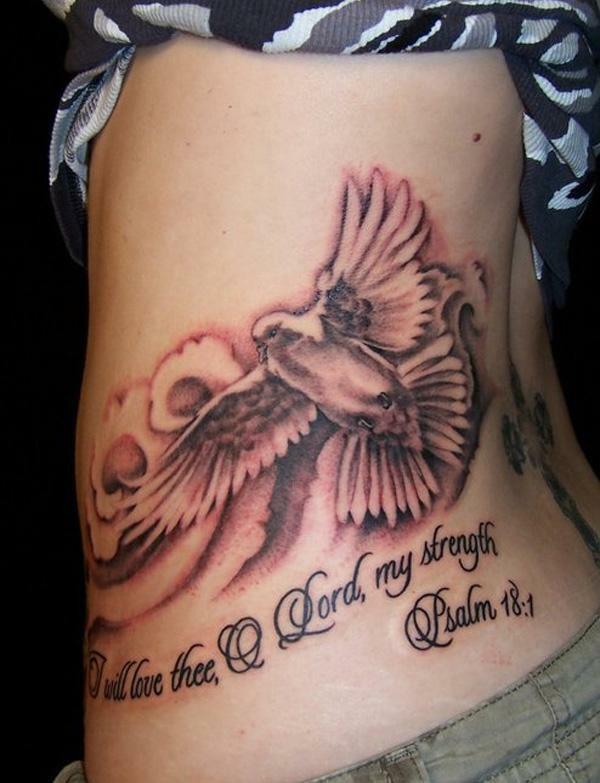 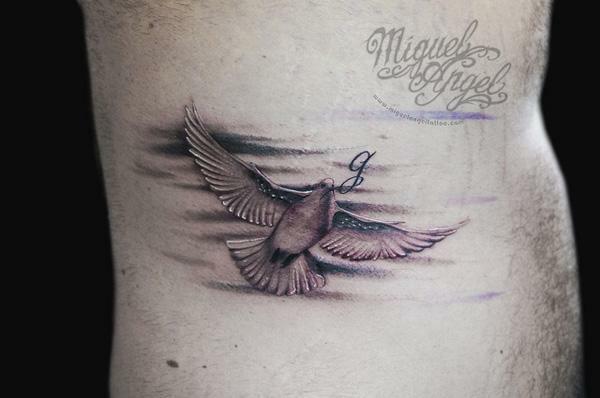 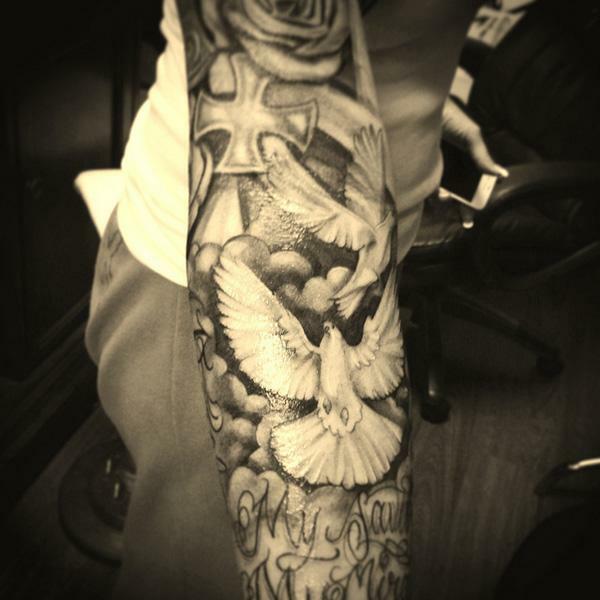 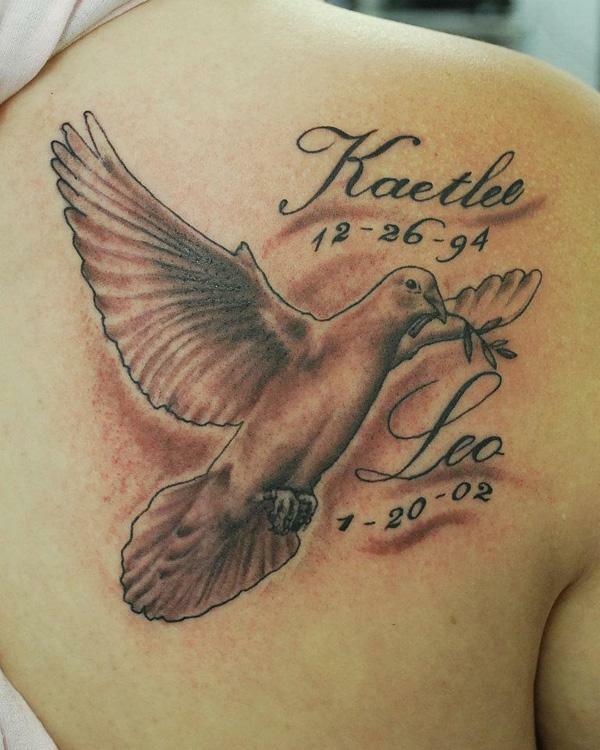 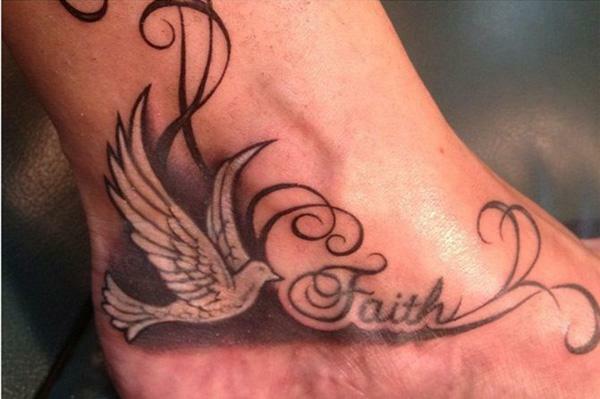 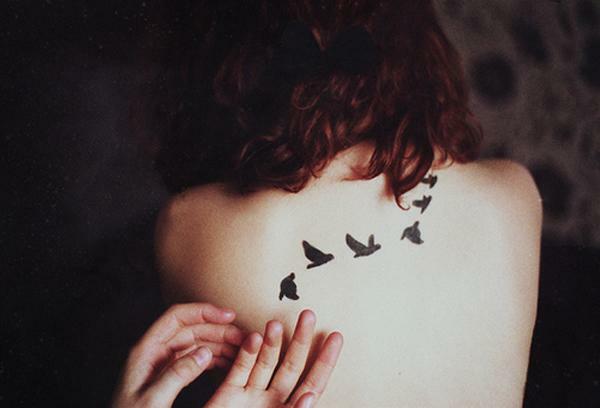 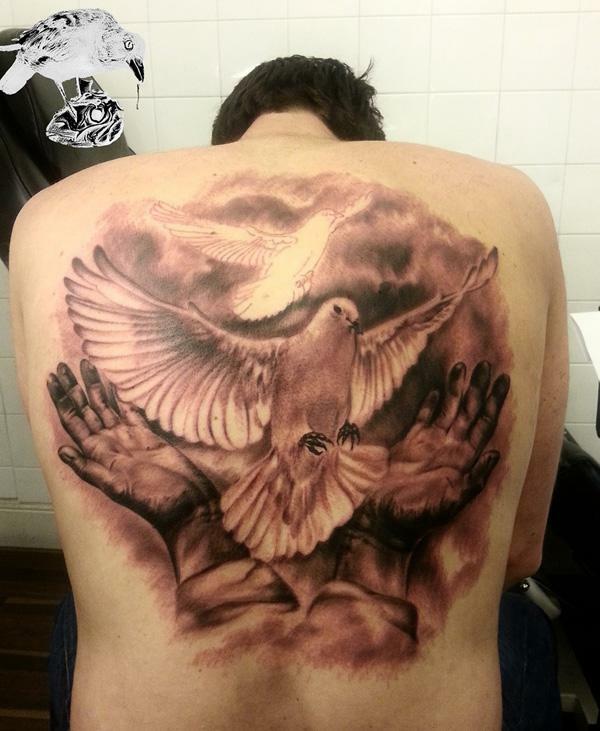 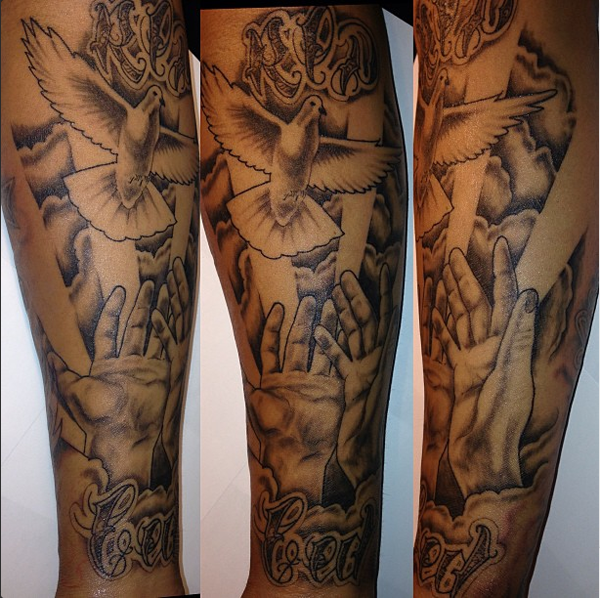 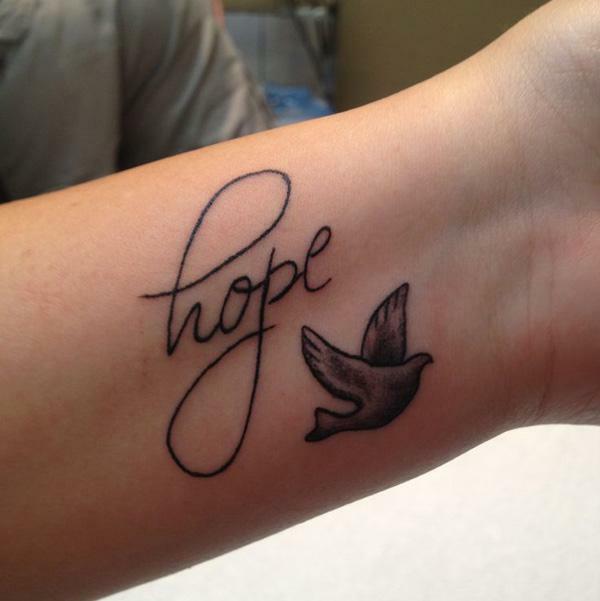 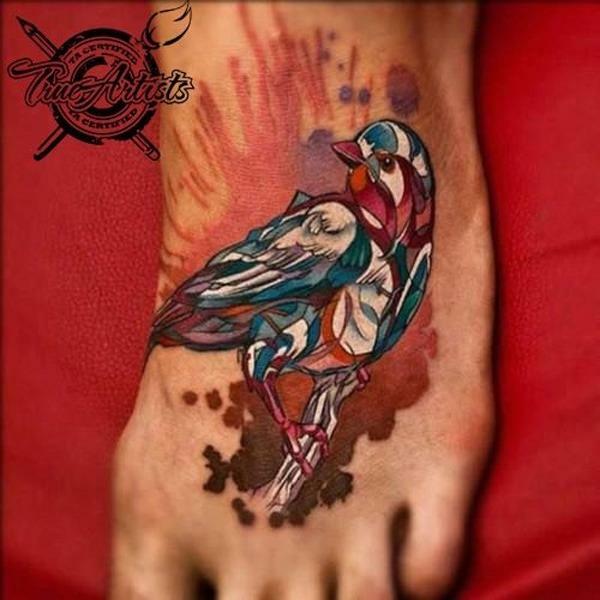 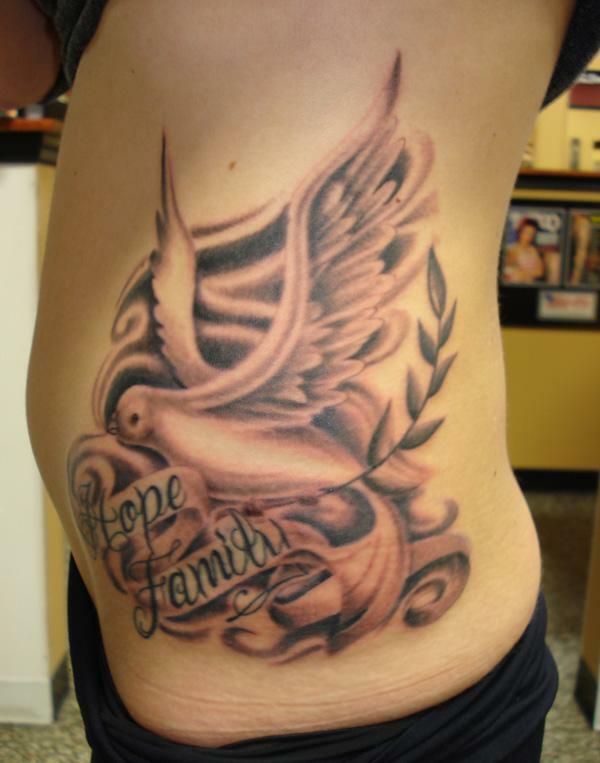 People get dove tattoos often for its symbolic meanings – love, hope and faith. 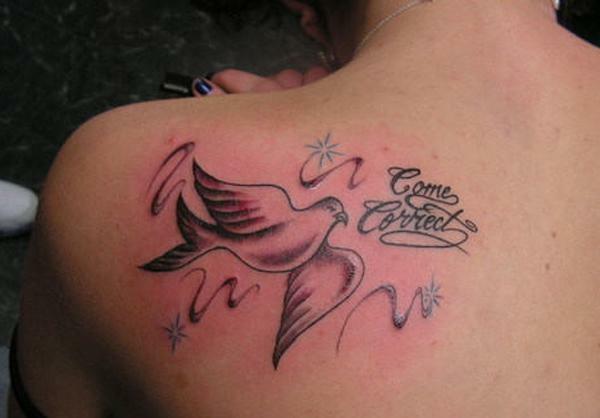 We can see dove tattoos often integrated with other symbols, cross, flowers and heart, to represent their symbolic meanings, or lonely flying dove, which is cute and innocent, calling for peace. 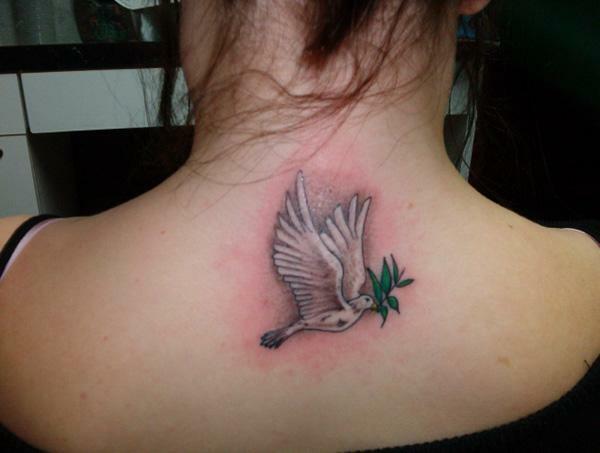 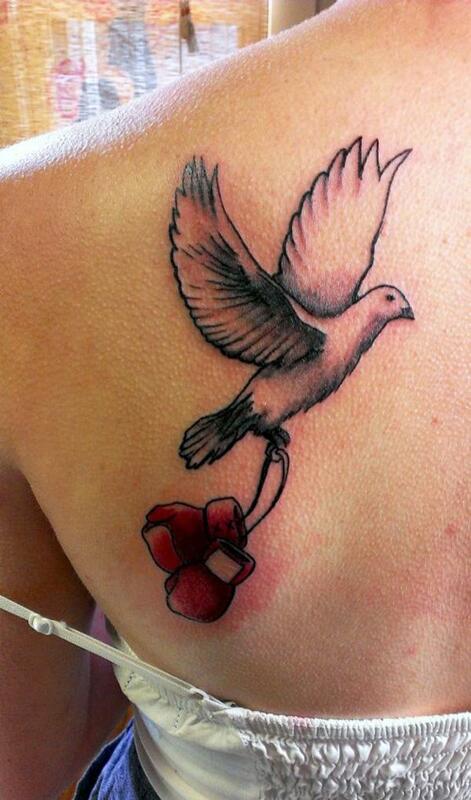 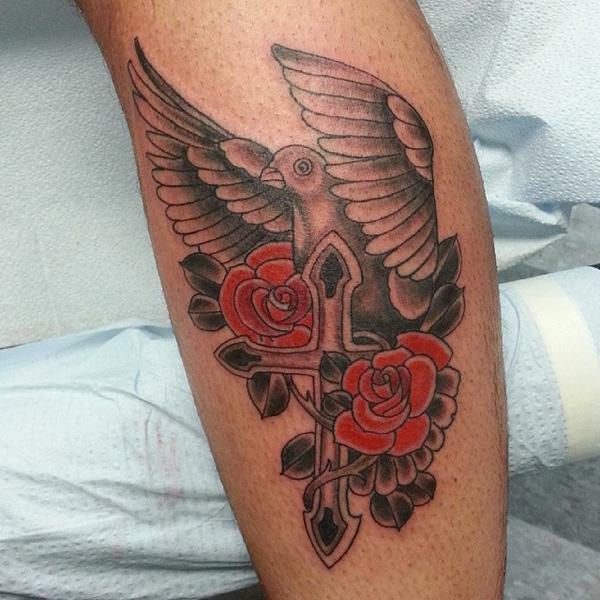 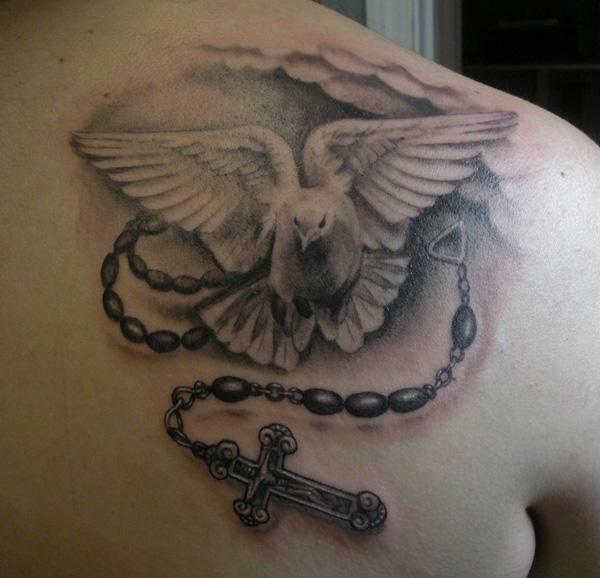 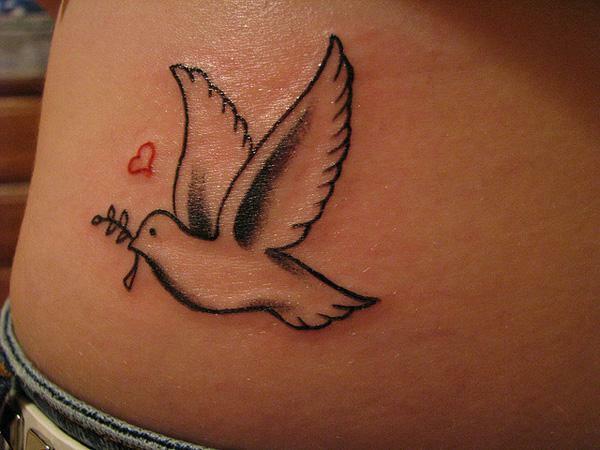 As a spiritual tattoo, dove tattoo is practiced by both men and women. 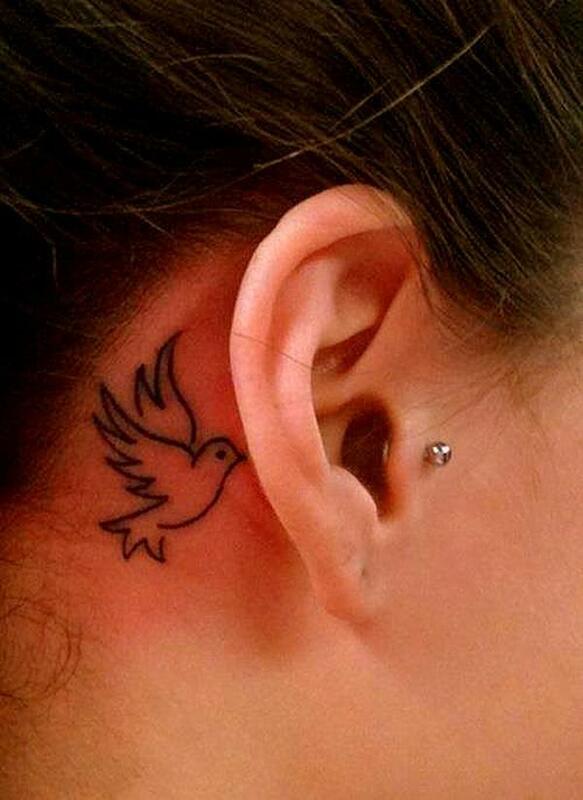 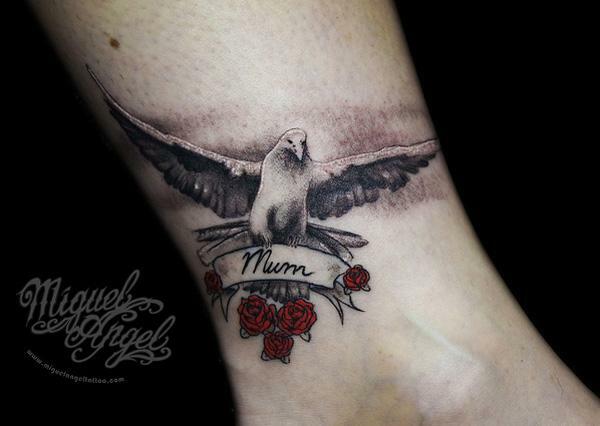 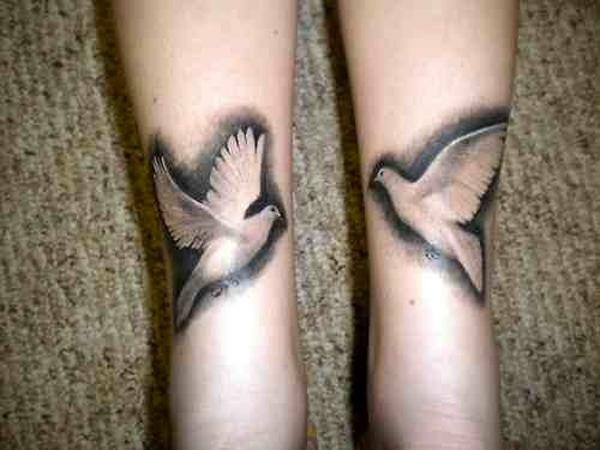 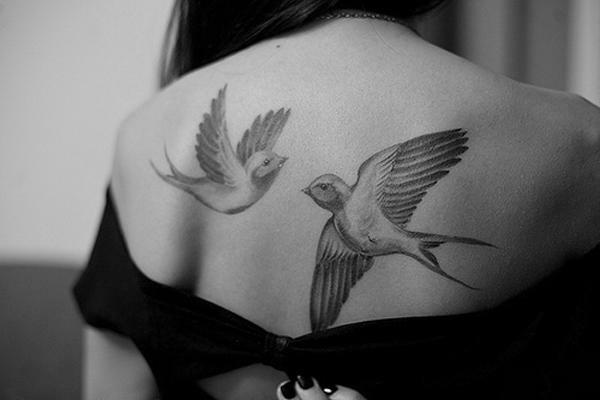 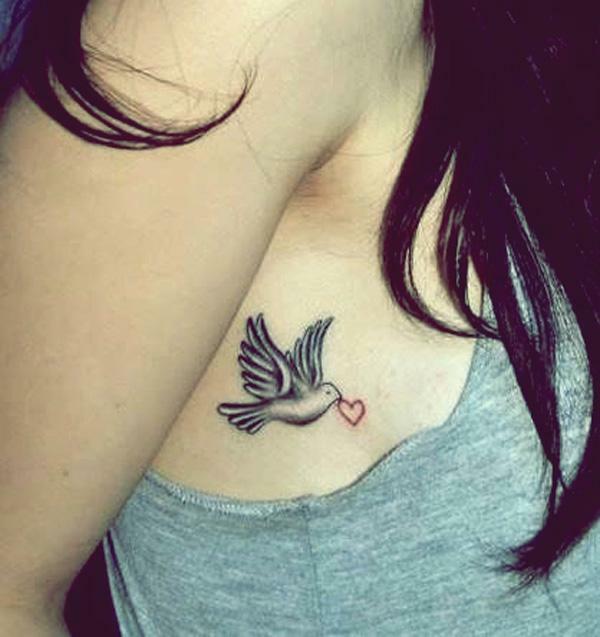 In terms of placement, dove tattoo is often inked on arms, wrist, foot, neck for its small size. 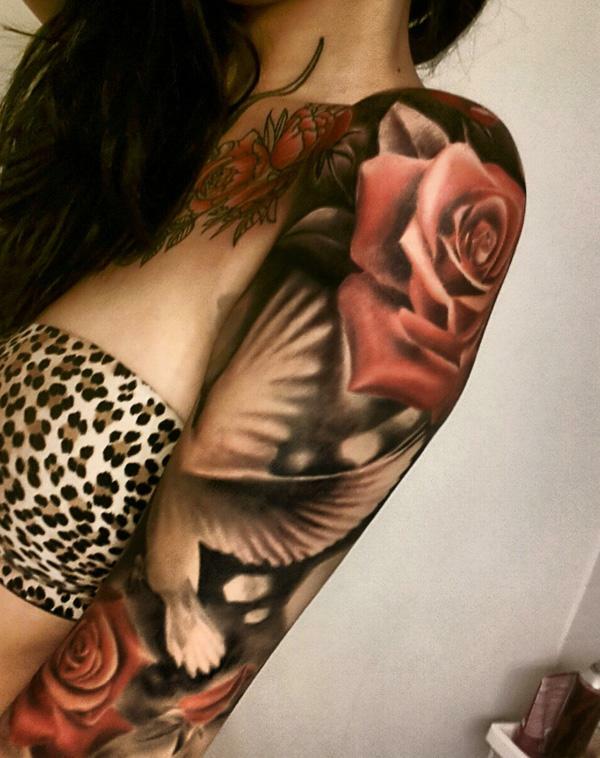 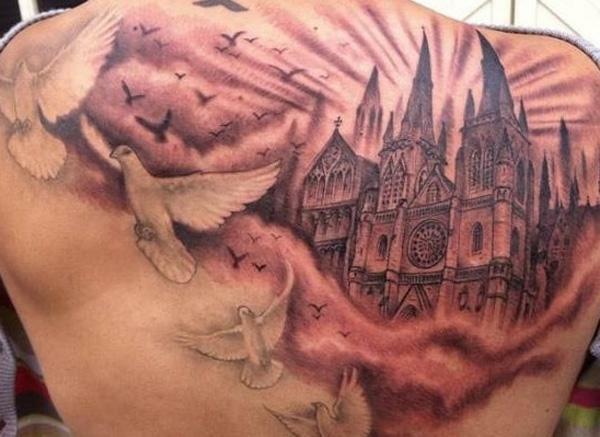 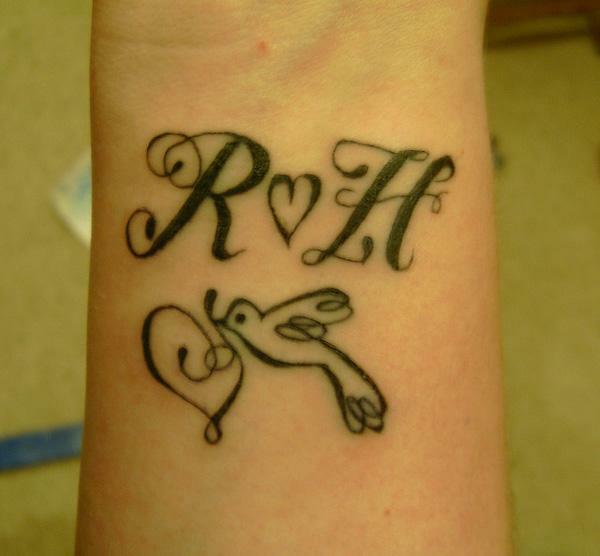 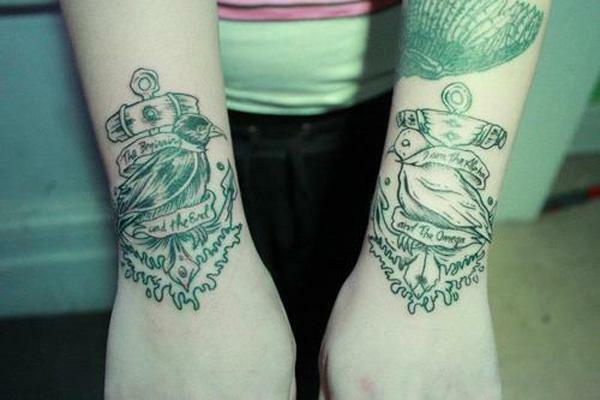 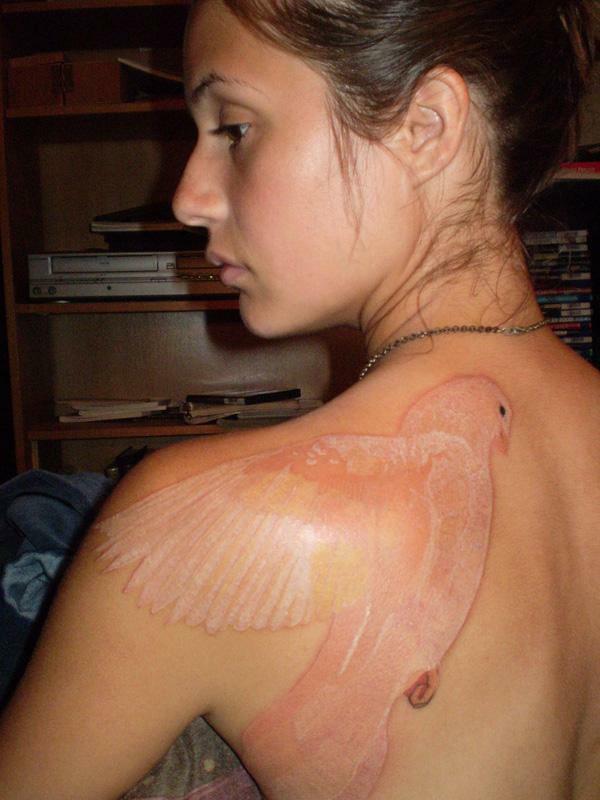 It can also be inked on back and side, etc. 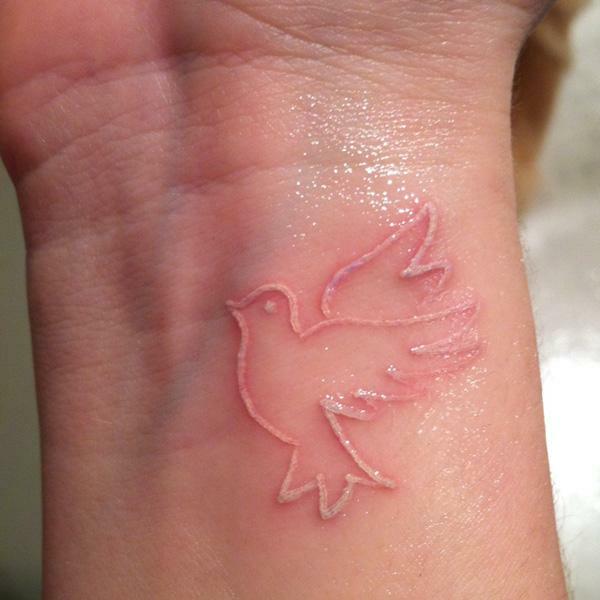 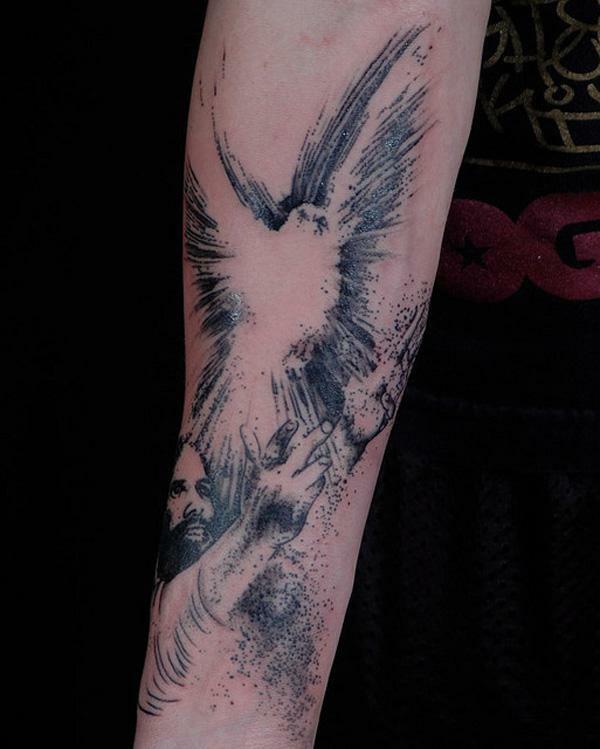 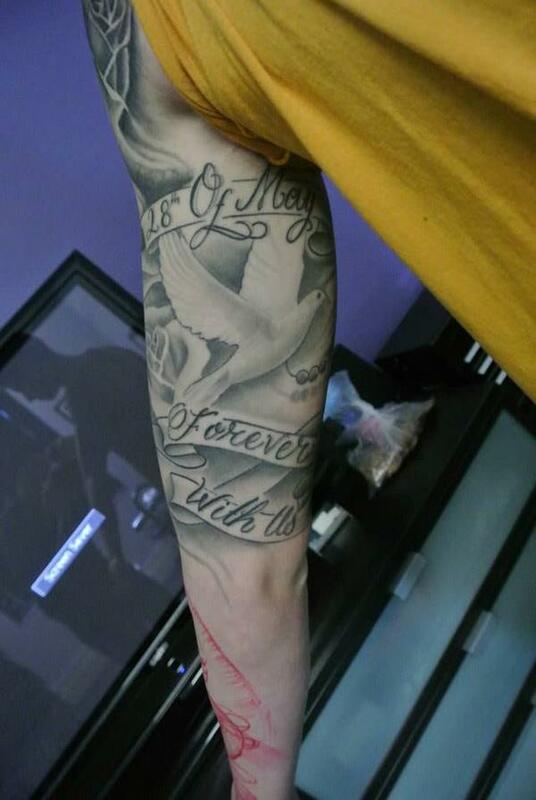 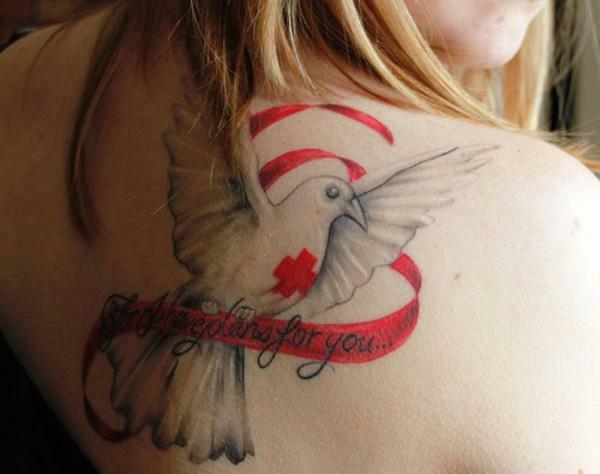 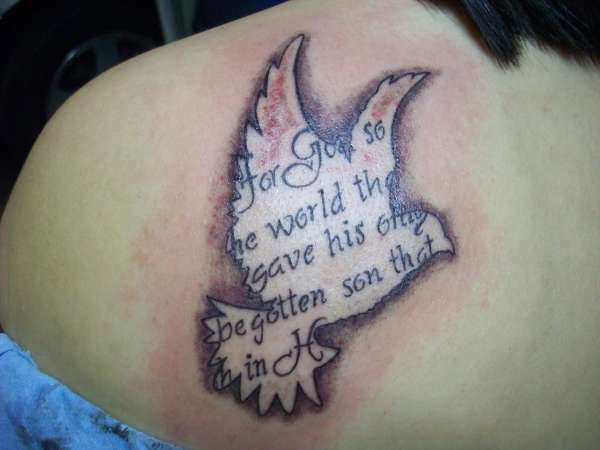 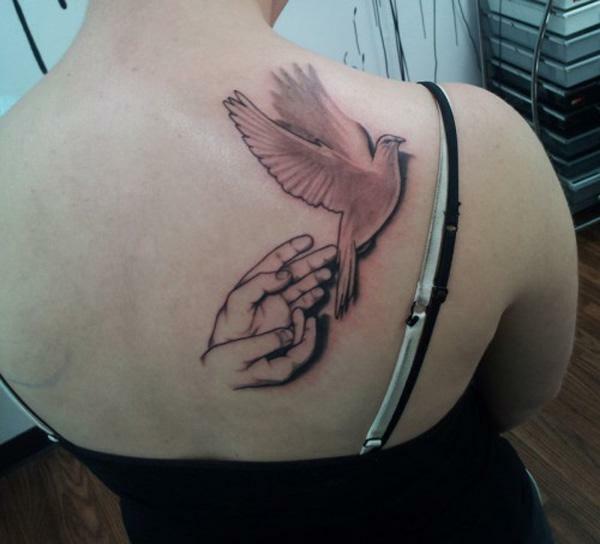 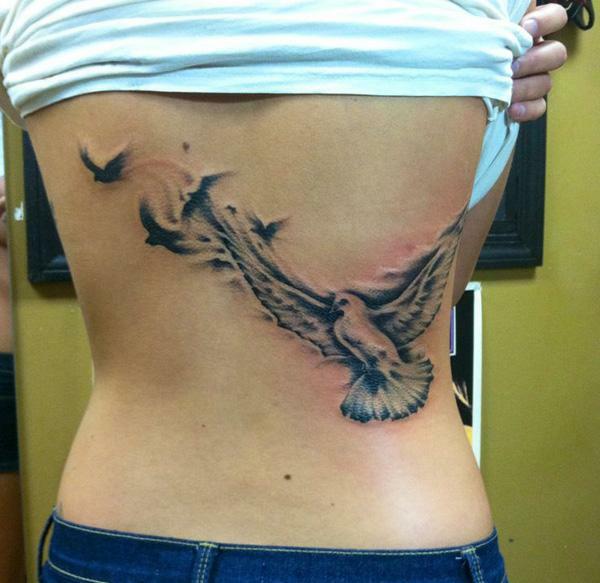 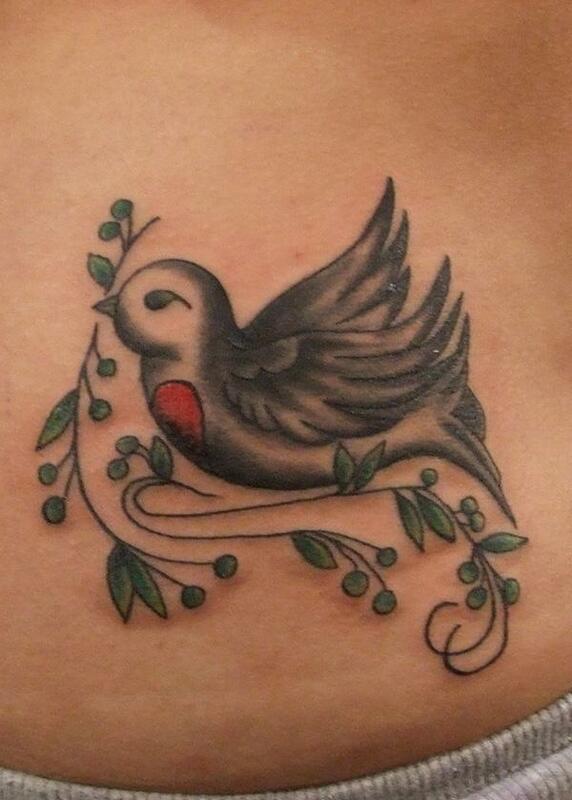 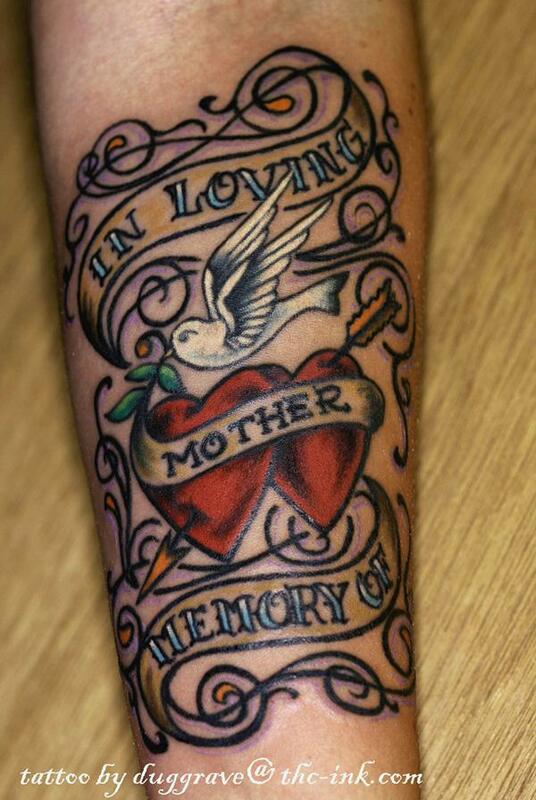 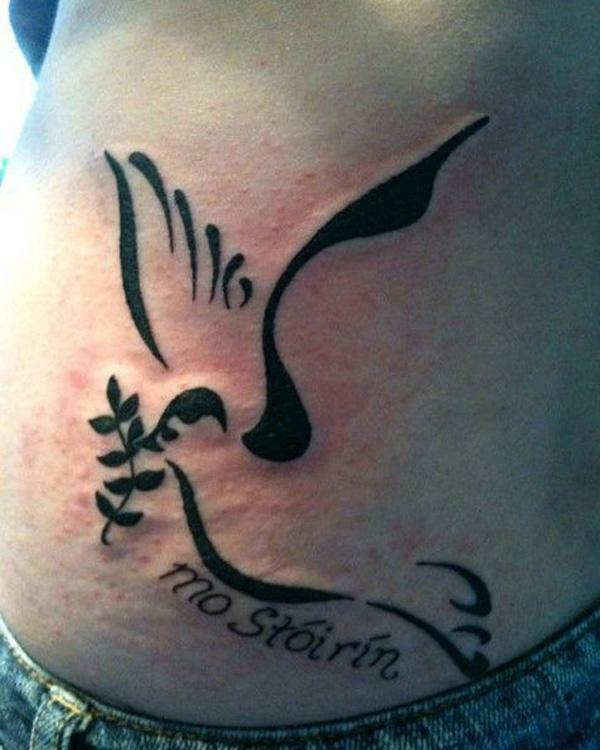 For its white in color, dove tattoo is a good tattoo idea for white ink tattoos. 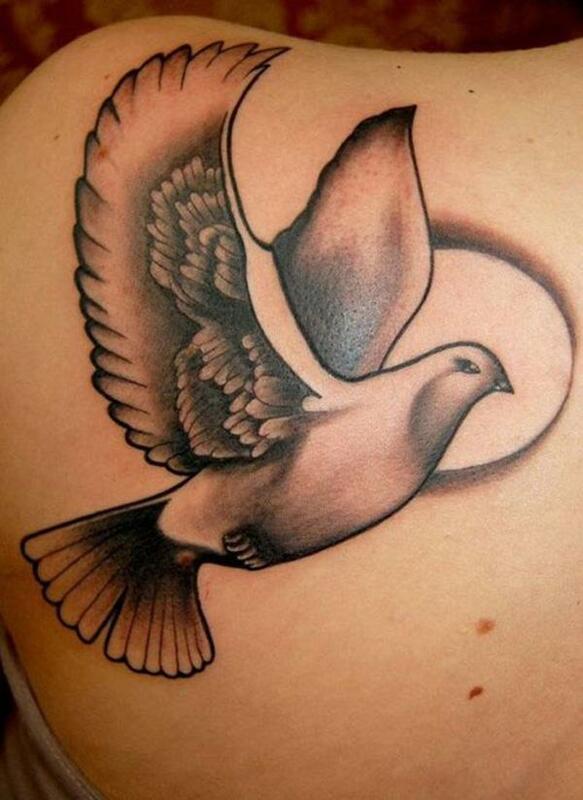 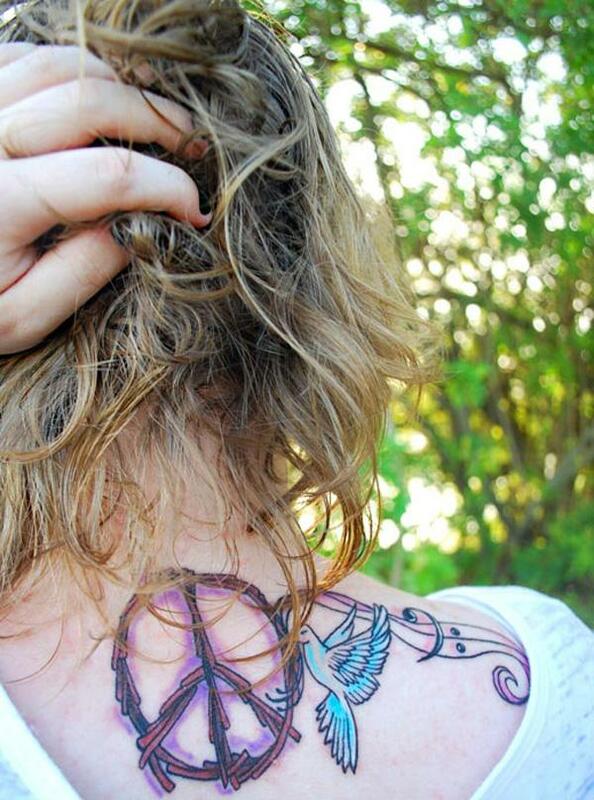 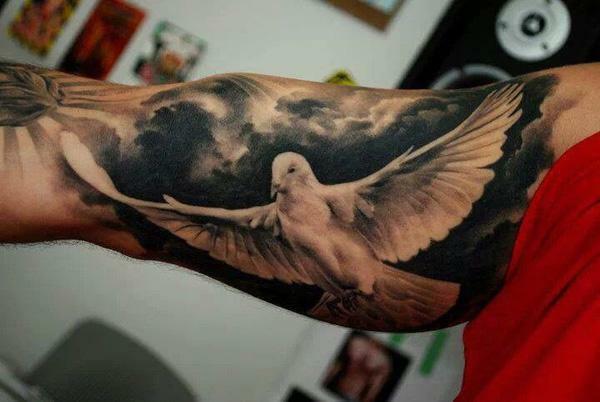 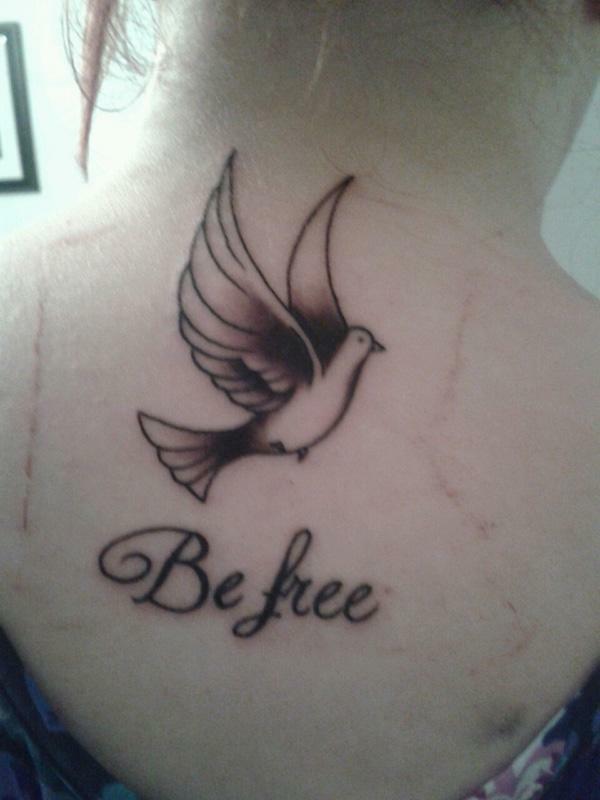 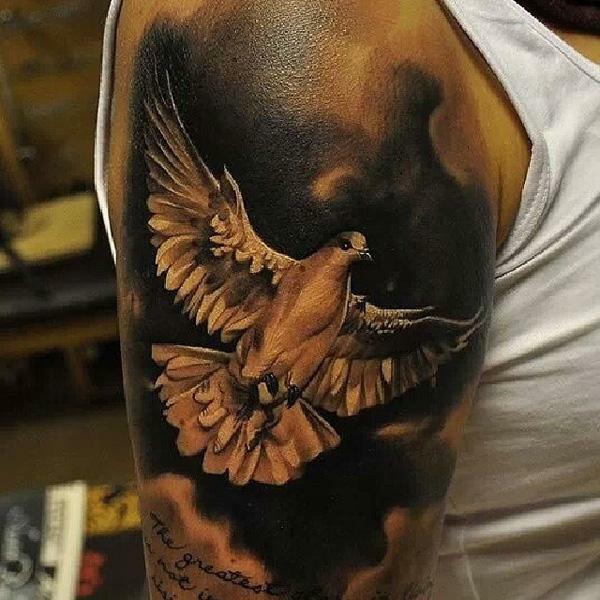 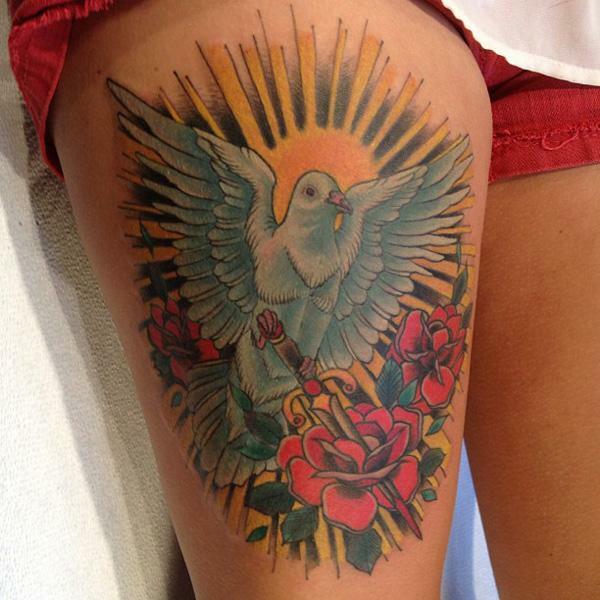 Here is a collection of 55+ peaceful dove tattoos. 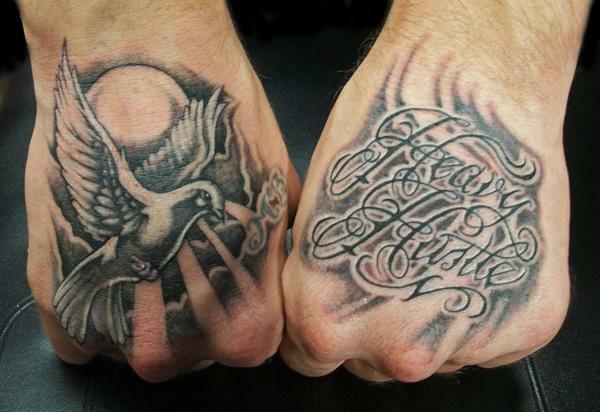 Let us know which one you like the most.